How does being 30 feel? It felt normal. It was a constant background chatter in my mind but nothing extraordinary happened on the day I turned 30. There was a quite celebration at home and some rumination on my part but by and large, it was like any other birthday I have had. Although, to be honest, turning 30 has induced some changes. But these changes had been in the making for some months before I turned 30 actually. I feel grown up. The most important difference that I have noticed is that of a lack of an urgency. Earlier, everything was urgent for me. I had to urgently achieve something, urgently be somewhere or fulfill a goal. Now, I have perspective. Some things are still urgent, like caring for parents but self related goals are not that urgent anymore. I have more patience and I have a long term outlook on life. If there is something I want and it happens, then good. I will be okay otherwise too. Sometimes life has a way of choosing its own heroines. She may not be the most famous or most pursued or most talked about. But, she may be the most blessed with the ability to take the best of what life has to offer!! I am not a even a quasi specialist in any subject. I am an uber generalist. The skills I have are – how to structure a problem and how to solve it using the tools which are available. Now, as you might imagine, these are the exact skills required for any job but the fact is that if you are a specialist (or even a quasi one) , you know which field to apply this skill in. I can go into any number of fields – so to speak – but there, I am met with people who have these same skills plus some more, which is, the knowledge of the history/geography/politics of that particular field. Don’t get me wrong, I think the flexibility of moving in any direction is a major plus but if it becomes so flexible that you are not even able to choose or decide, then it’s a problem. So, the answer to the question I asked (What’s my Woe?) is that I can’t decide which field to put myself in and battle it out. That, is my woe. It is like standing outside a park and seeing n groups of children playing n different interesting games and if you want, you can go and play any of it but you are not friendly with any of the groups and from this distance you can’t really decide which game would be the best. To complicate matters, time is running out and darkness approaching. Soon, you will have to choose or you will be kicked out. Which game do I choose to play? Which one? 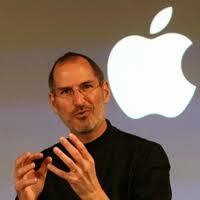 Steve Jobs is no more among us. He left this world. This day needs to be marked because it brings the end of a man who was a major instrument in creating the technological advancements we live with today. A man who was a visionary. A man who was a thought leader with a passion to execute. A man who lived his entire life with the philosophy of being the best one could be. A man who was always ready to push boundaries. A man who inspired generations of tech entrepreneurs. A man who showed how much more life could be if lived with passion and dedication. A man who thought differently and boldly. A man who defied expectations. But above all, a man who was unique as a leader and will be missed by the entire world. May his family find peace ! My corporate life, of 5 months, is seeing the closing of its first chapter. I ended my tenure as a Software developer yesterday and am going to be a Data Analyst from Monday. I am excited and hopeful that this will interest me. That I will be able to enjoy work and thus, my life. Yet, this is not a finality. Already, my mind is asking the question “what next? ?” That is classic uber restlessness. I have not gone one day on this job and I am asking myself what next. The truth is, I want to do something big. Something pioneering, if not that at least something which has an impact, something which solves a problem.I might be able to do it. I might not be able to do it but this I know, I will never stop trying to do it.